A Texas Ranger tracks a pair of bank robbing brothers. Scotsman Mackenzie and his English cinematographer Giles Nuttgens fetishise the film's Texan setting in a way not seen since Wim Wenders' Paris, Texas. This is a stunning movie set in a beautiful, if broken and bent out of shape part of the world. Movies produced from screenplays pulled from the infamous 'Black List' of unproduced scripts rarely wield overly positive results, but Hell or High Water, which utilises a 2012 Black List winning screenplay by Sicario scribe Taylor Sheridan, is a resounding success, the sort of intelligent adult crime drama we just don't get enough of in an era obsessed with superheroes and talking animals. 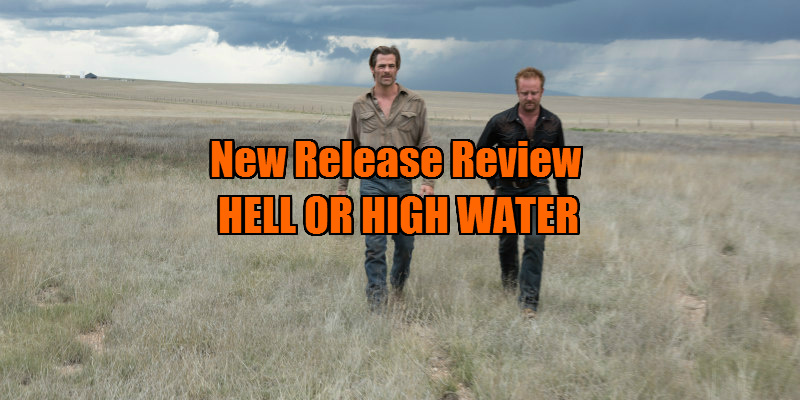 On the surface there's little original about Hell or High Water's plot. In the wake of their mother's death, brothers Toby (Chris Pine) and Tanner Hayward (Ben Foster) team up to raise enough money to buy the family ranch, which sits above a potentially lucrative oil field, before the bank can foreclose. To achieve this they set about stealing from branches of the very bank they owe money to. Assigned the task of identifying and apprehending the outlaw pair is Texas Ranger Marcus Hamilton (Jeff Bridges), set to retire in a matter of days, and his long-suffering partner, half Comanche, half Mexican Alberto Parker (Gil Birmingham). Nothing novel about that premise; quite the contrary. How many times have we seen the aging cop on one last case before retirement scenario? Yet here it's not just a cheap piece of characterisation. Bridges' Marcus represents the death of the old West, but it's not entirely an elegaic paean. The old codger enjoys making racist jokes at the expense of his partner, who laughs it off mostly, but Alberto's private expressions, hidden from his senior colleague, tell us it's an aspect he won't miss when Marcus draws his final paycheck. Similarly, the noble outlaw myth is deconstructed. Staking out a bank in a town that's seen better days, Alberto and Marcus discuss how the bank has taken away the dignity of the few remaining residents, but the former reminds the latter that the land they're gradually losing wasn't theirs to begin with. While criticising the banking system as explicitly as something like The Big Short, Hell or High Water reminds us that the banks prosper because of the greed of the common man. A western with pick-up trucks in place of horses, director David Mackenzie's film follows in the dusty footprints of Ford, Hawks and Peckinpah by delivering a movie that presents characters who initially appear as well worn stereotypes, only to peel away their layers, revealing the complex men under the stetsons. For a good hour, the movie pushes the narrative aside, allowing us to simply hang out with its central players, and they're a joy to spend time with. While Foster and Bridges are in their comfort zones here, Pine is a revelation as a man who has written off his future but is determined to leave something worthwhile behind for his family. Part Don Johnson, part Warren Oates, it's a performance, as with his turn in post-apocalypse drama Z For Zachariah, that suggests Pine is more suited to the role of character actor than the leading man parts his handsome looks have seen him cast in. But the most eye-catching performance here comes from West Texas itself, its scorched roads lined with billboards offering quick financial solutions, its greasy diners, and its rugged citizens; some of the film's best moments come courtesy of cameoing supporting characters, none more unforgettable than the proprietor of a diner who opens transactions with the loaded question, "What don't you want?". 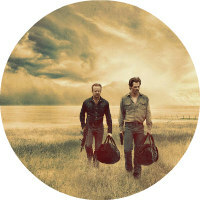 Scotsman Mackenzie and his English cinematographer Giles Nuttgens fetishise the film's Texan setting in a way not seen since Wim Wenders' Paris, Texas. This is a stunning movie set in a beautiful, if broken and bent out of shape part of the world. It's a tribute to a tough land, and its even tougher people, and it's as joyous in its simplicity as the thrill of singing along to country radio on an open highway as the warm Texan wind dances through your hair. 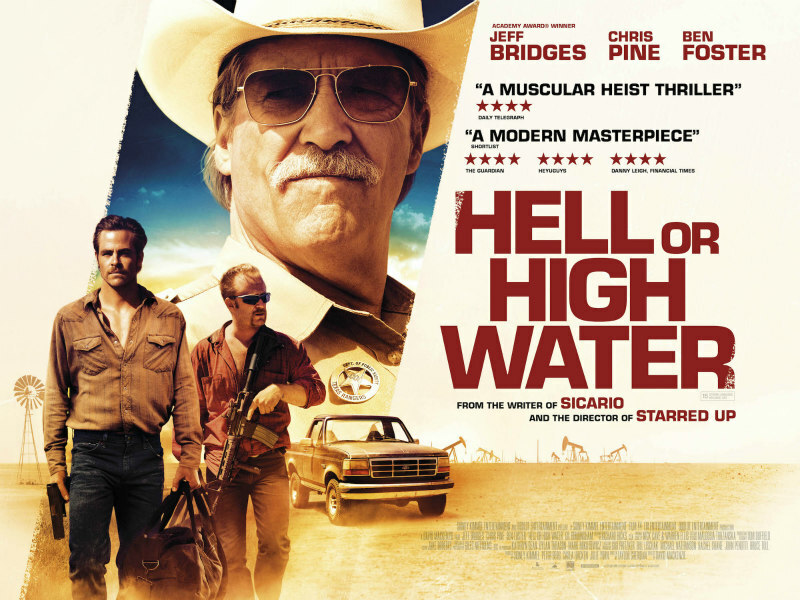 Hell or High Water is in cinemas September 9th.